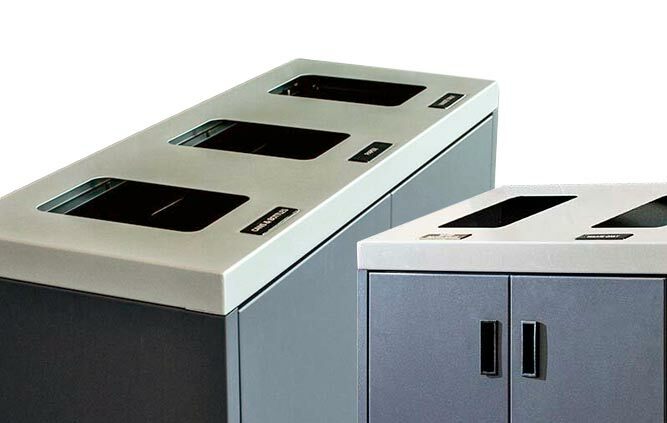 The Top Loading Recycling Station offers a shallow footprint, ideal for narrow spaces in indoor locations including office buildings, schools, and conference centers. 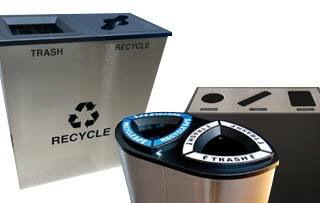 Each unit instantly creates an eye-catching, high visibility recycling center customized to your exact needs. The slightly angled top creates an aesthetically pleasing look that invites the user to recycle. The optional backboard with posters and logo panel helps to clarify recycling streams, strengthen brand image and increase ROI.